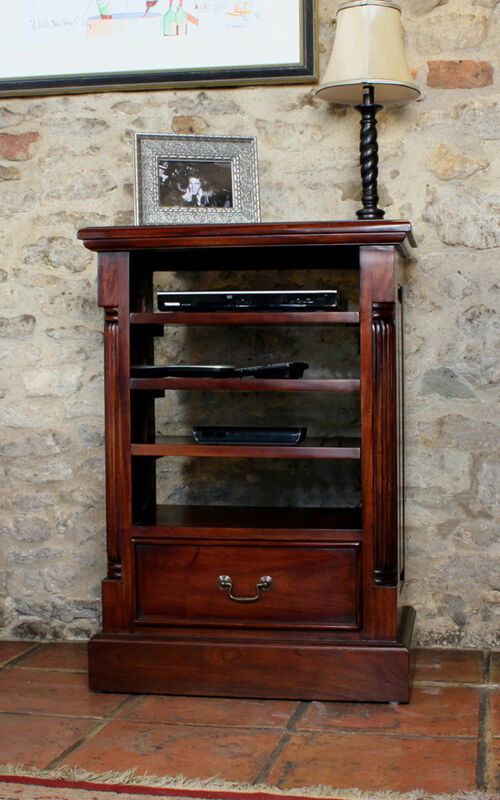 This elegant Mahogany Home Entertainment Cabinet is designed to house your media units (DVD player, game consoles, Freeview boxes etc) when you have a wall mounted television without any storage of its own. 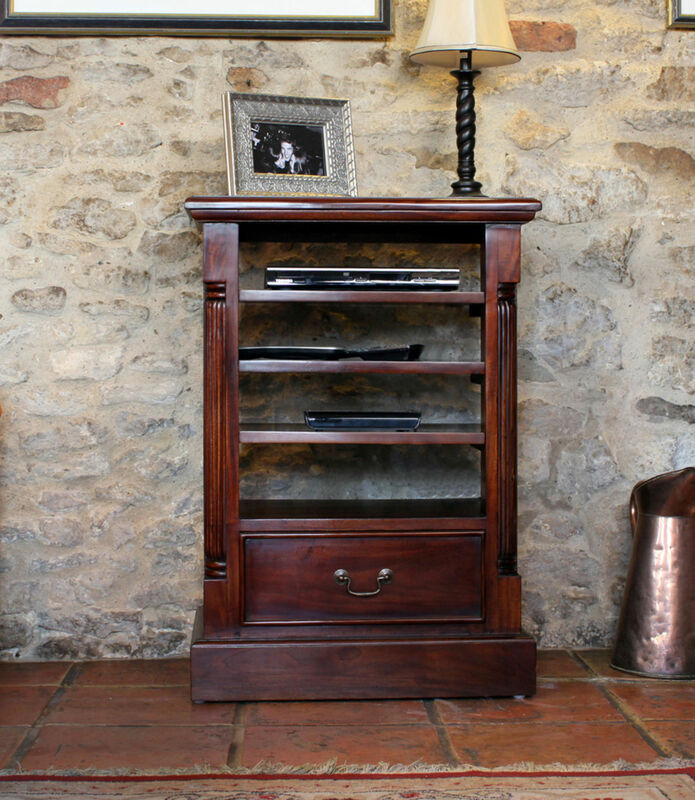 This beautifully designed unit has hand carved fluted sides and decorative lower back panelling (the upper is open) to give delightful detail to this stunning piece. 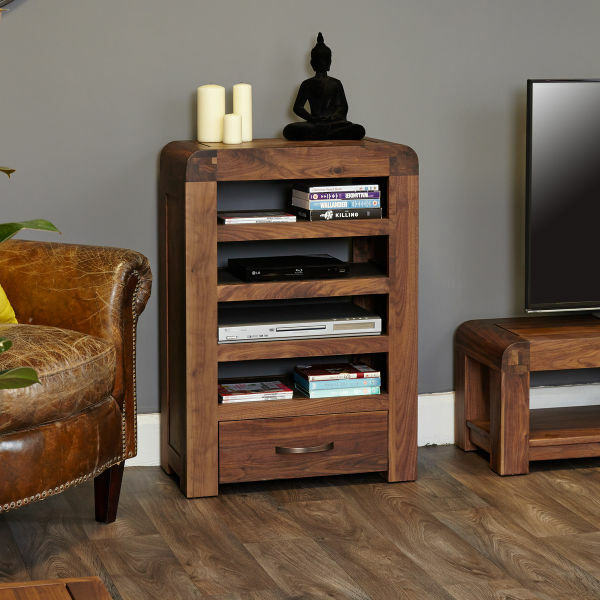 Storage space is not compromised; four shelves provide easy access and storage perfect for holding Sky boxes, DVD players and media units, as well as one larger drawer to keep all those remote controls neat and tidy in one place. 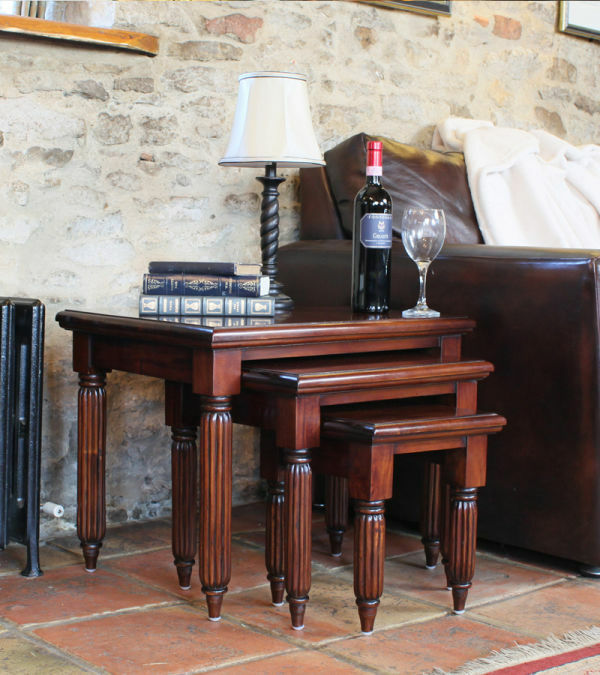 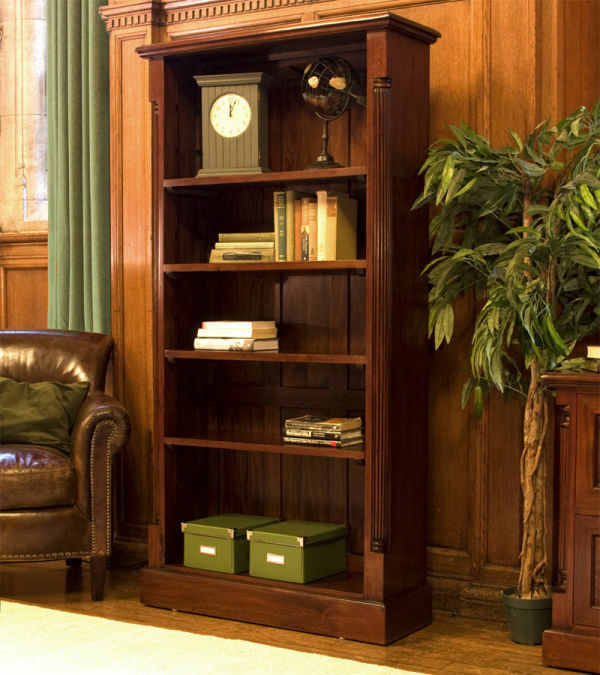 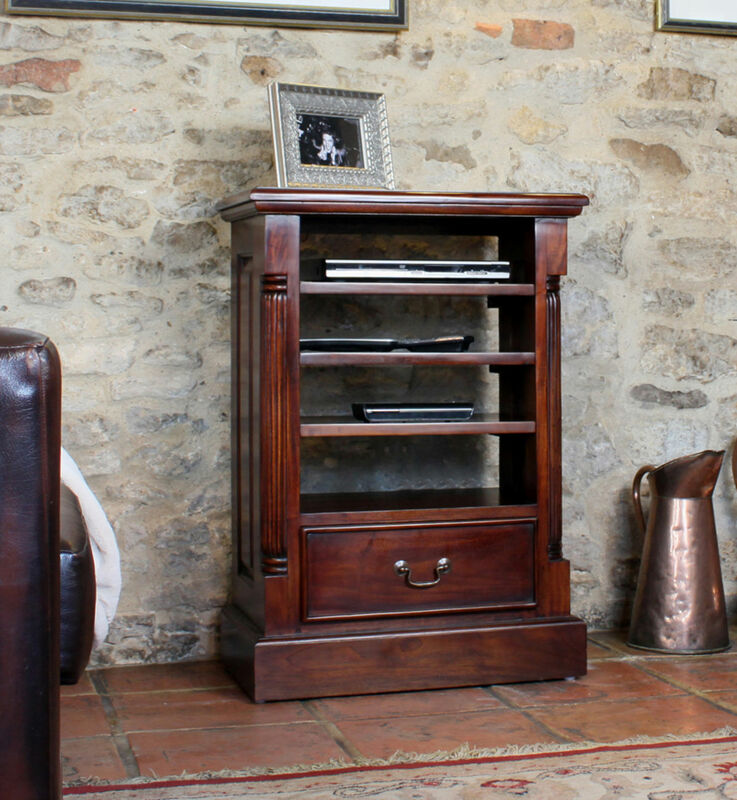 Our mahogany is sustainable and sourced from managed plantations, and is finished to exceptionally high standards with a mid gloss lacquer, offering a hardwearing sheen and still whilst maintaining the natural beauty of the mahogany. 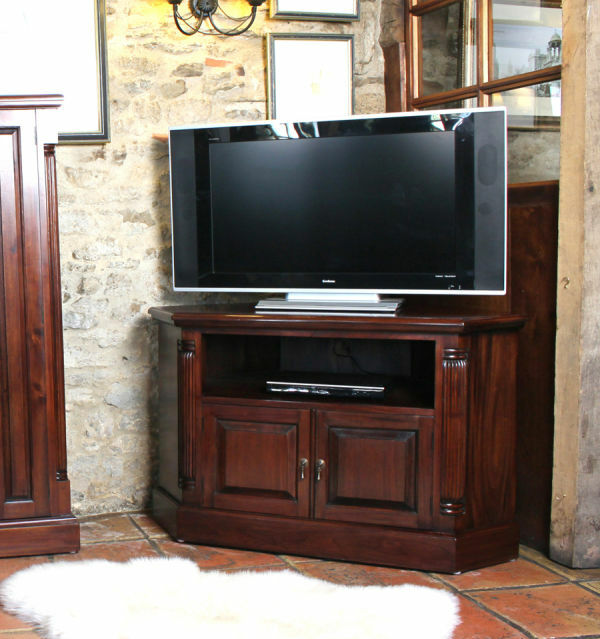 Beautiful antiqued brass drop handles, classic design with a contemporary edge are perfect to compliment any wall mounted TV. 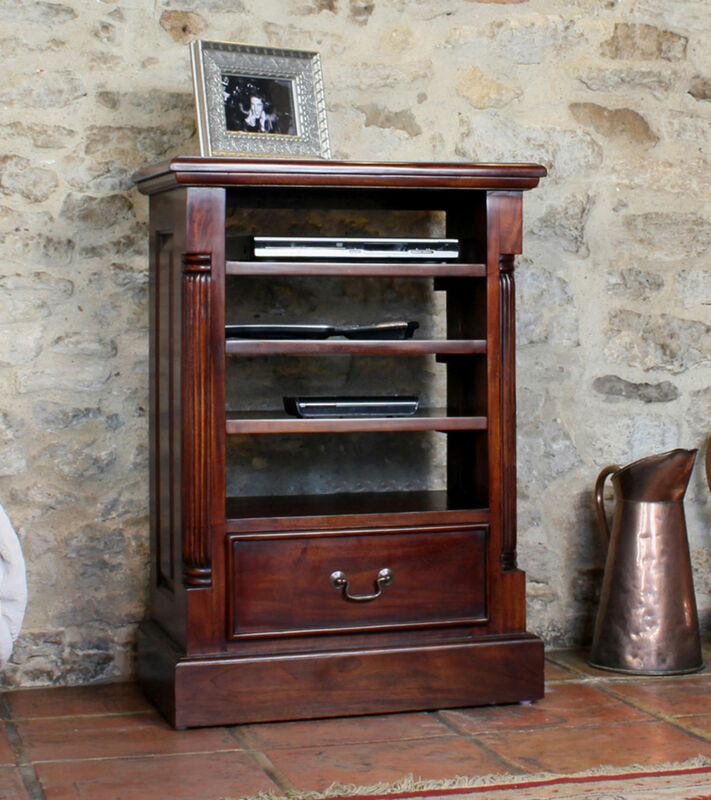 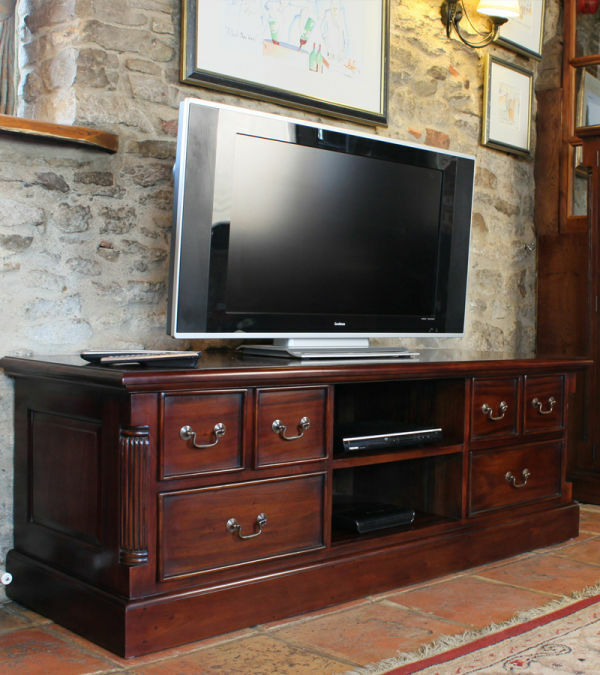 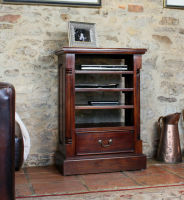 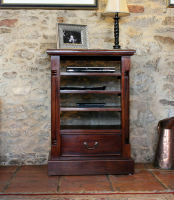 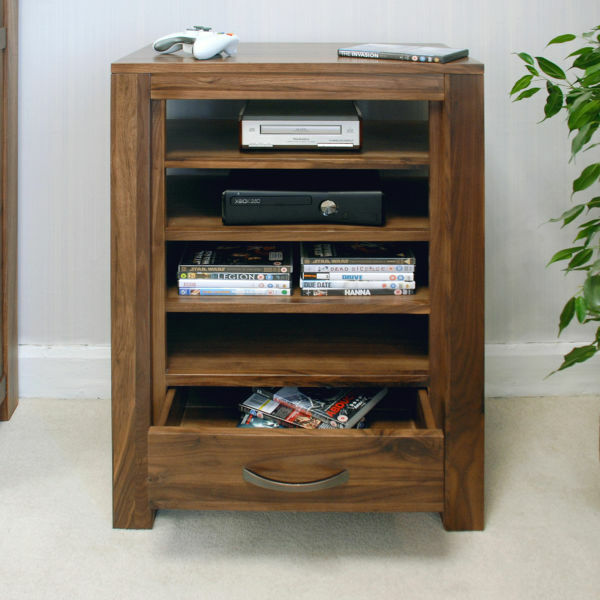 Alternatively, why not consider our Mahogany Widescreen TV Cabinet ?